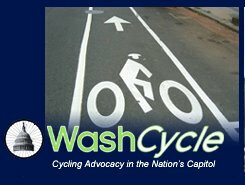 The WashCycle is DC's most well-known blog specifically dedicated to bicycling in the region. It takes a very partisan view (of which I am pretty much on board with) that cyclists and cycling could benefit from much more support from all angles: funding, government, business, media, etc. It covers the news related to cycling as well as issues. Most posts get from a few to numerous comments--primarily from the bicycling community. It's very worthwhile to follow if you are a resident of the DC area and cycle even just occasionally. Also, if you are interested in transportation issues in general and how cycling fits in with them. . .and how the cycling community views these issues.